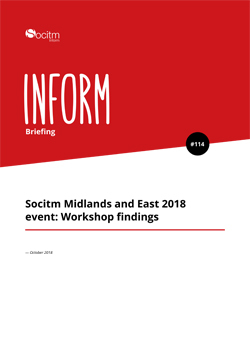 In a new format for Socitm regional events, consultant Jos Creese led an interactive thought leadership workshop discussion at the Midlands and East Conference at Northampton's Delapré Abbey in September 2018. The workshop focused on IT leadership roles in future digital public services. This briefing summarises the discussion and its findings.